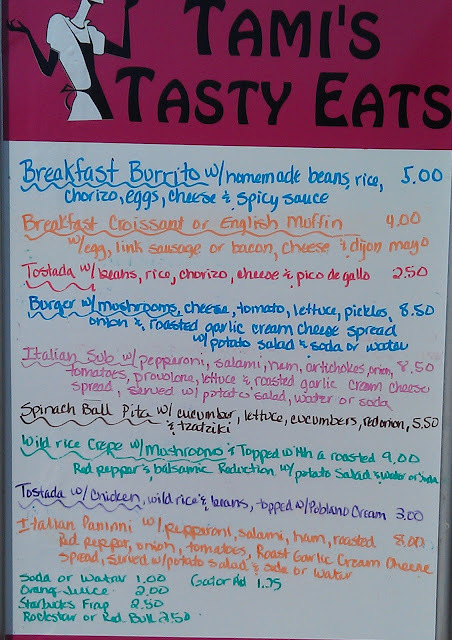 Birch Bay has a new breakfast and lunch alternative, located near the four-way stop sign where the Birch Bay-Lynden Road meets Blaine Road. It sits in the parking lot of the small grocery-movie rental-coffee store on the northwest corner of the intersection. 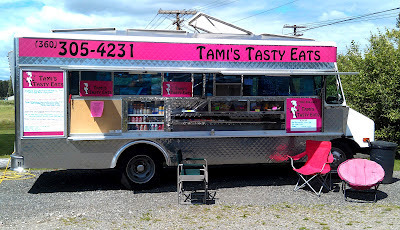 The name of the "mobile restaurant" is Tami's Tasty Eats. The Italian sub was heavily loaded and quite tasty. It was so big that I had it for two meals with a little left over for a snack. It cost $8.50, including some potato salad and a can of Coke. The potato salad was o.k., but a little drier than I prefer. Another day, I tried the Burger with mushrooms and was pleased with the choice. The Burger patty was ample and the toppings made it a two-hander. In all, a nice lunch with some left over for a later hunger attack. It also cost $8.50 with a drink and potato salad. 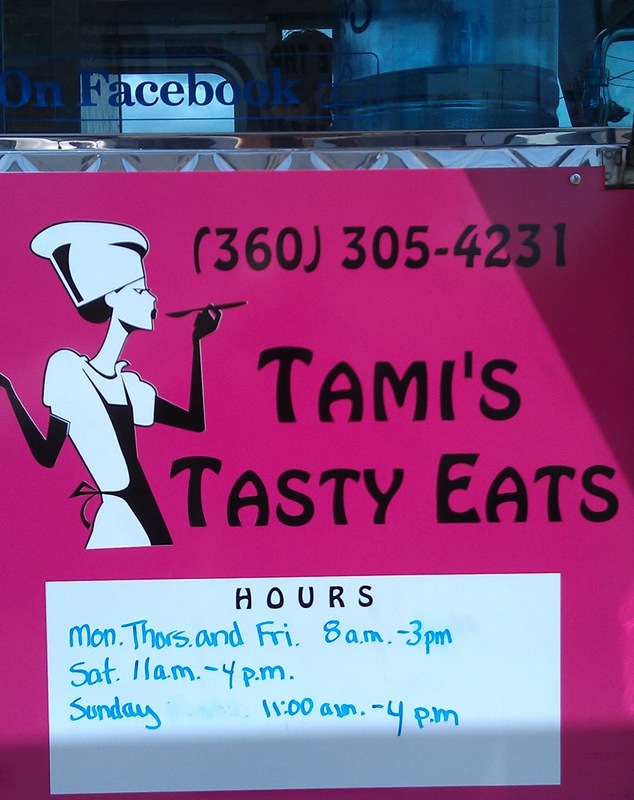 It's nice to have an assortment of reasonably priced places with tasty food available in Birch Bay. So, good luck Tami's.